Have you heard? There is a brand new designer in the tagging world. R & K Elite Dezignz has released some stunning new kits. 2 of which I am showing you. 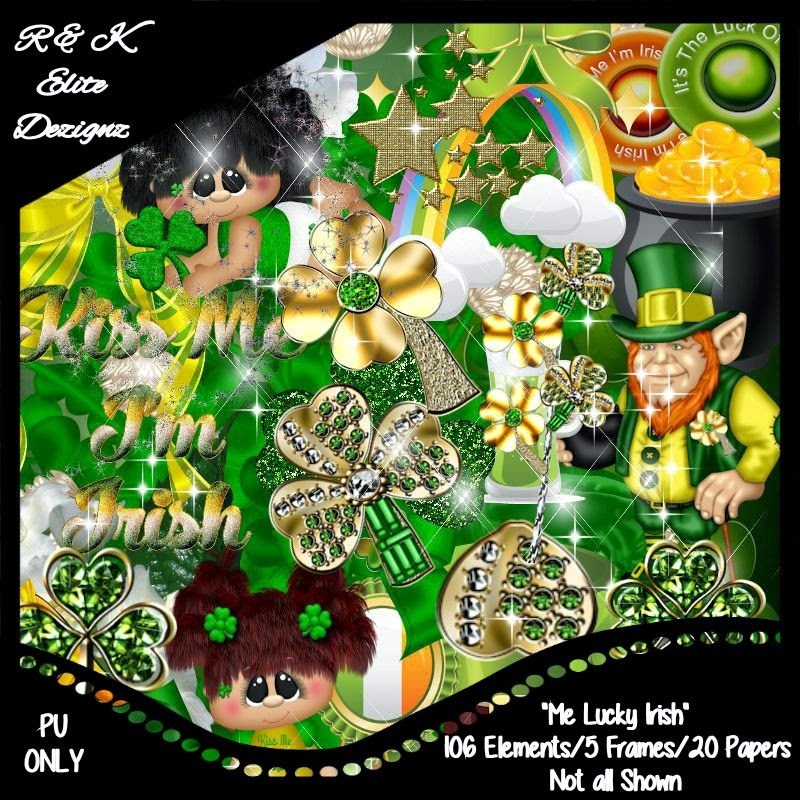 The 1st kit is called Me Luck Irish & is the perfect kit for your St Patricks tags. Full of everything Irish you will not have trouble matching this kit with many different tubes. The kit contains 20 papers, 106 elements & 5 frames. There will be matching clusters available soon. Why not check out the CT Blog to see the other girls gorgeous work. The 2nd kit is stunning. 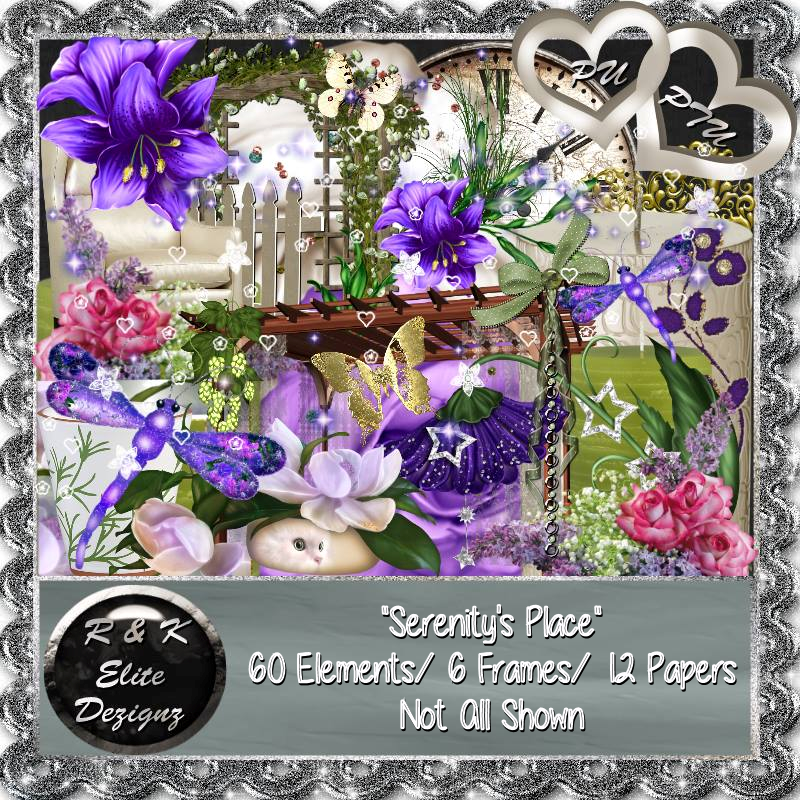 It is called Serenity's Place. The color theme is subtle yet it stands out. With plenty to play with you will love this one. The kit contains 12 papers, 60 elements & 6 frames. I have 1 tag to show you.